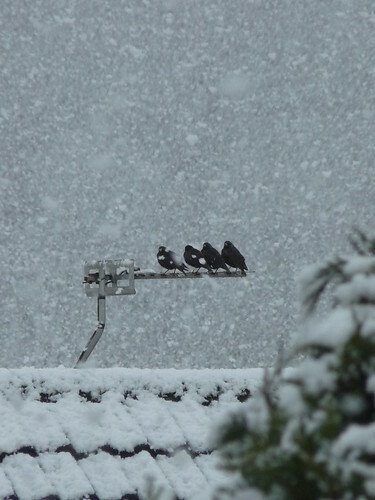 This entry was posted in Scotland and tagged birds, snow, spring. Bookmark the permalink. We were lucky. It was very wet here so it didn’t settle, just melted. I used to love snow. It was a novelty and so pretty, but now I am just plain fed up with it. Beautiful photos! We woke up to snow yesterday morning but by the end of the day it had all been rained away. Kind of disappointed, kind of relieved! 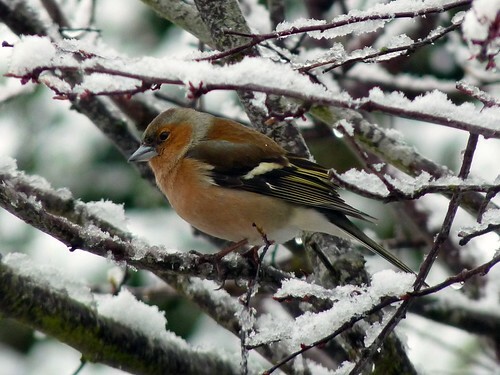 Chaffinch; we do not have these birds in Washington State although we do have a large variety of Finches. Beautiful little bird. It’s still on the hills surrounding the town, but thankfully the snow lying on the pavements has all gone. Although your photo’s are beautiful, I bet you’ll be glad to see the back of it.